Property 4: 'BeachViews' - Stunning Waterfront Home! Property 6: Exceptional Views over Tasman Bay Tahuna Beach! Property 7: Architectural, Light-filled, Great Views! Property 9: Lavender Studio at the foot of the Richmond Hills. 'Commodore' - Modern with Panoramic Sea Views! Property 10: 'Commodore' - Modern with Panoramic Sea Views! 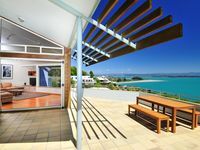 Property 14: Coastal Escape - Modern Nelson Getaway! Property 17: Stunning sea views and panorama of Abel Tasman Bay with awesome Sun Sets. Property 19: Riverside Villa - Nelson City Centre on the River! Beach holidays don't get any better than this! Property 21: Beach holidays don't get any better than this! Property 35: Rural paradise studio with solar heated pool. Property 44: Rural Nelson Bliss in the city. Richmond Plains Vineyard Cottage with pool and FREE bottle of wine. 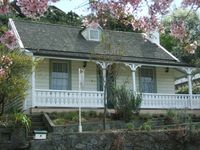 Property 45: Richmond Plains Vineyard Cottage with pool and FREE bottle of wine. Central City Location with Exceptional Views! Property 46: Central City Location with Exceptional Views! Property 50: Central Motueka Luxury Accommodation. Great location. Enjoyed the old fashioned furnishings. My girls loved sleeping in the attic. Very grateful for the breakfast cereals, milk and break.